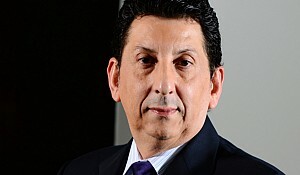 Mohammed A. Alabbadi, General Manager of Cisco. An engineering graduate from King Fahd University of Petroleum and Minerals (KFUPM), Alabbadi also holds an MBA from the IE Business School, Madrid, Spain. What is your general outlook for the ICT sector in Saudi Arabia? We are very optimistic about the Saudi market. The outlook for ICT services is positive. Cisco sponsors a general ICT readiness report and Saudi is one of the top forty countries and where we expect it to remain there. Also if you look at some of the consumer trends that usually drive behaviours, there is a very young population with over 70% of the population under 25, and they are very tech savvy in IT usage from a consumer perspective. These factors are driving even more trends toward corporate services and government services. What do you think are the major investment opportunities in the ICT sector? Because of this drive into what we call digitization, i.e. everything being digital, there is still huge demand for connectivity. There will be massive investment when it comes to broadband, whether that is fixed wired broadband or even mobile broadband. There is just going to be continued demand for faster networks. Cisco believes that with certain specialised industries, we are going to see trends towards how we can improve education services, health services and defence. The country recently launched an initiative to have a specific commission to help develop the small and medium enterprise sector. For a lot of these companies ICT is not core, it is context; so we believe that this is going to drive a lot of cloud behaviour where they can offset CapEx expenditure into getting ICT services and using OPEX as a model. This is going to drive a very underdeveloped market here which is cloud. We are going to see a lot of service providers offering new and improved cloud services especially for the small and medium enterprises. At the same time you are in agreement with the major telecom operator to build 3 data centers. Exactly. Now how does this map into technology? With connectivity everywhere there is going to be a massive surge in mobility. People are expecting that they can get the same level of services whether they are using a wired or wireless network. There are a lot of trends for using mobile phones and having easy access to your apps and services. We are going to see continued growth when it comes to mobility services. 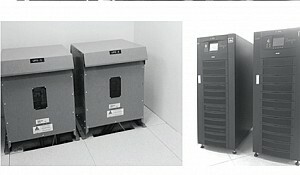 At the same time, datacentres and cloud computing will grow. Along with the cloud trend, there will be a massive focus on cyber security. These are the three technology areas we are seeing really massive growth in especially over the last 18 months and we project to continue seeing this over the next two to three years. 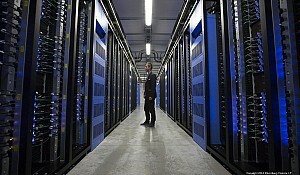 Do you think it is illogical to have data centres in Saudi Arabia seeing as you can have data centres abroad? This is a perspective that most countries are following in terms of data sovereignty. The regulators are saying that there is a certain amount of data that remains very sensitive and it needs to be stored in country. The trend is towards a hybrid model where certain services can definitely be offered over a global cloud, like Amazon web services etc. but there is still, from a data sovereignty perspective, a certain level of data that for a lot of customers and government sectors will be too sensitive to store outside of Saudi Arabia. These are the same kind of regulations that are happening in the US and in the EU, where they have their own set of regulations that are similar to Saudi or the GCC countries. Cisco has its own cloud offering; we have services that are similar to WebEx which is an ability to do audio or video conferencing and we offer the services over a global cloud. In the end it is all about a connection, opening a channel for people to have an audio or video conference. How does Saudi Arabia compare to its regional peers when it comes to ICT development? Cisco sponsors a study called the Global ICT Readiness, and Saudi is in the top forty countries in the world. Within the GCC it is in the top four. This trend is going to continue positively. The government stakeholders are recognising the role of infrastructure and the importance of digitization to offer better services in the country and even to diversify the economy and improve GDP growth. Focus on improved efficiency and investments in a skill set that is “21st Century” resulting from ICT investments are going to positively impact the economy. 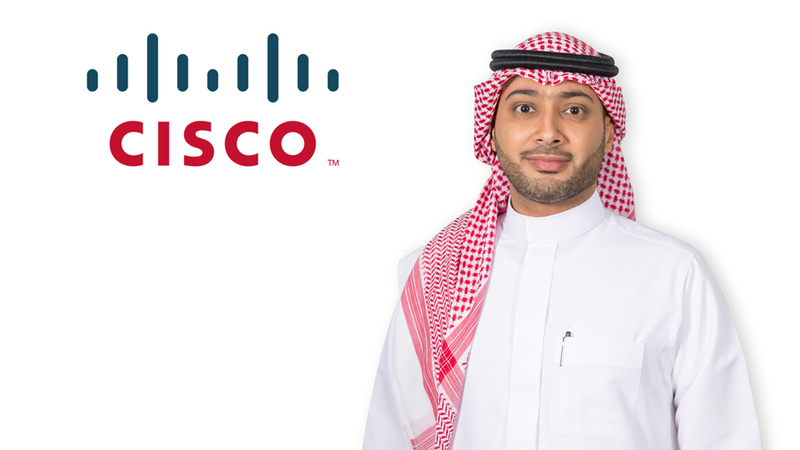 What are the major contributions of Cisco to Saudi Arabia and its diversification and building of its knowledge economy? Cisco has always been a huge believer of education and enablement. Our executive chairman and former CEO John Chambers used to say “the greatest two equalisers in life are the internet and education” and that is something that really is in our DNA. Ever since the inception of Cisco in Saudi Arabia, which is now about twenty years ago, we have invested in education in the country. Cisco boasts over 90 Cisco Networking Academy Programs. These programs are an investment for the future of the country. Cisco has invested more than USD 20 million since the inception. The idea is to enable Saudi male and female students to be ready for real ICT skills when they join the work force. Cisco has had just over sixty thousand graduates since inception, where about 33% are female. In the top twenty countries where we run the Cisco Networking Academy, Saudi has the largest female percentage intake. Cisco believes in the power of diversification, all the global statistics show the value of having females in the work place. Almost 20% of Cisco Saudi Arabia’s workforce are female. Cisco offers localised working condition for females that comply with Saudi culture. Are you sourcing your research and development centres locally? Cisco is focusing on education in terms of the human capital development. Cisco has a program to enable the local infrastructure when it comes to system integrators and that really helps to source technology locally to diversify the economy. While many companies have direct agreements to facilitate their business per country, Cisco established a web of system integrators locally. Thus, 99% of our business is funnelled through the local channel. What is Cisco’s strategy in terms of increasing Saudisation? 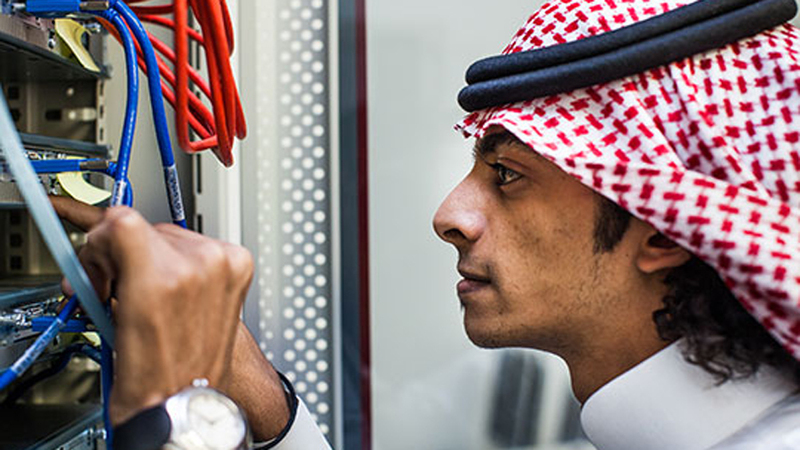 Saudisation is the core focus of Cisco Saudi Arabia. 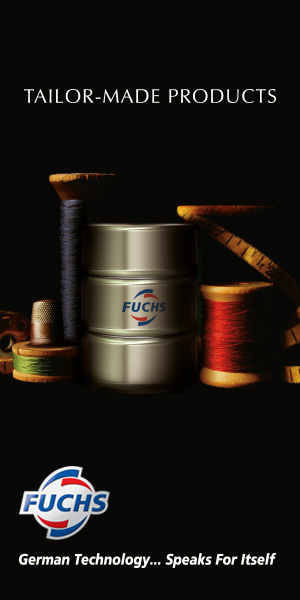 It is one of our 5 key strategic focuses. Cisco tries to develop and focus early careers of male and female Saudi nationals both from a business track but also from a technical track. Multiple programs such Cisco associate program for sales, Network Consulting Engineer Apprentice program for engineering, have been created to develop the human resources. Many senior managers grew in the company. We have a strong foundation of people that have come through Cisco programs but also many of them have found very good opportunities in the market. Just under 50% of our workforce today is Saudi. 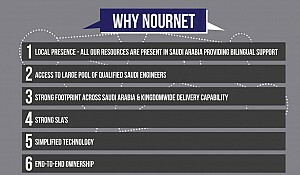 Another thing we focus on is creating specific hubs that have a wider footprint to make sure that we can increase our investment in Saudi calibre. Cisco is a prime e-commerce company, mostly all of our ordering goes through our e-commerce channels. Later Cisco’s customer support hub follows up with our customers on their orders, delivery etc. The hub for the Middle East and Africa is based in Saudi Arabia run with Saudi talent. That is another example of how we are trying to do more when it comes to Saudisation and investing in Saudi calibre in the region. Can you talk about your strategic goals for 2015 and 2016? There are five main areas. Saudi Arabia recognises the role of ICT in diversifying of the economy. The strategy is to invest in human capital, moving to knowledge-based economy that is more efficient, leveraging technology like the Internet of Things. All of this has a cumulative effect. 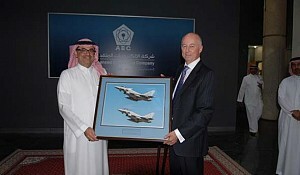 That is a strategy that we are using in various countries and it is our key focus in Saudi. Cisco is collaborating with government stakeholders to see how we can help the country execute on their ICT strategy. Further areas include Saudisation, investing in education and knowledge transfer, working with system integrators and enabling female workforce. These are the five key points that are our strategic initiatives for 2016. Can you talk about your study “the Internet of Everything” that could generate an estimated 15.8 billion US dollars of value for the Kingdom in Saudi Arabia’s public sector? The Internet of Everything is a phenomenon that everybody is recognising. It means that everything is connected and transferring data in real-time. The idea behind it is to give the ability to anyone to make decisions quicker and to make processes more efficient. Cisco consulting group has done this study for the Saudi Arabian market. Based on the results the experts have estimated that it can have a positive economic impact of an increment of just fewer than 60 billion Saudi riyals in GDP over the next 12 months. This comes from different perspectives such as smart lighting in the cities and more. Healthcare and education can drastically improve efficiency from technology. Saudi Arabia is a vast country with many rural areas. Technologies like IOT can enable rural population access to best quality specialised medical centres through video or voice collaboration and also with using real-time sensors. The doctor can perform a real-time diagnosis on the spot. Combined with what we call the city services and the government sector services, our estimate that this is going to have a positive impact on GDP of just fewer than 60 billion Saudi riyals in the next ten years. What are the major challenges in Saudi Arabia for the ICT sector? Security remains a very critical challenge and not from the lack of awareness of decision makers or stakeholders when it comes to security but the lack of skill set. Cyber security is also Cisco’s area of focus and educational development initiatives. Security is a process, it is a continuum, it need to be sustainable. Currently, the market has a very few security professionals. It is the next evolution of our focus when it comes to investment in the country. Cisco is tackling the challenges with education and trying to grow the workforce. What are Cisco’s challenges in Saudi Arabia? From what we understand, human resources are not a challenge. Saudi Arabia finds itself in a time where ICT growth is expected and demanded but in the current economic conditions that the country is experiencing, there is going to be a lot more scrutiny on how these projects and initiatives need to move forward. Cisco forecasts higher use of OPEX model. However, is the market ready for the model in terms of the availability of the local data centres and local clouds? The data sovereignty is an issue. There will be delays in the ability to execute some of the ICT initiatives in country. On the short term that might be a challenge to us but we view the country as a strategic area for Cisco for the long term. For the past several years, we have had the former CEO as the executive sponsor for Saudi Arabia so Cisco Saudi Arabia is very important to the company and we are going to continue to work for growth.